A Democratic Unionist Party (DUP) MP has said the party will not vote for Theresa May's Brexit deal even if she presents it to the House of Commons "a thousand times". 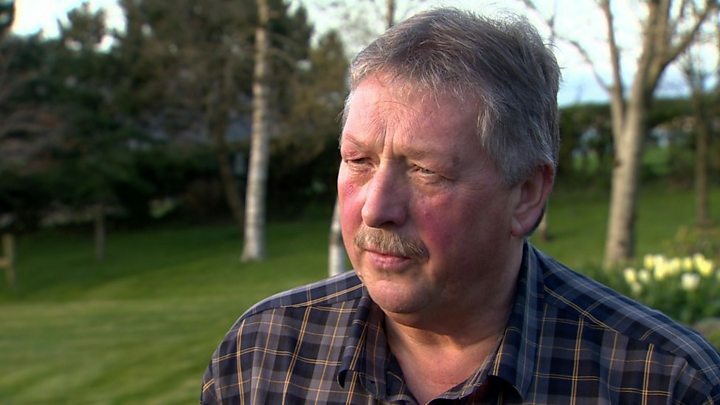 The party's Brexit spokesman Sammy Wilson said its position was fixed. He accused former prime minister Sir John Major and Justice Secretary David Gauke of "scare tactics". They said on Sunday that a no-deal Brexit could jeopardise Northern Ireland's place in the UK. Would no deal mean direct rule for NI? Sir John told the BBC's The Andrew Marr Show: "I think a hard Brexit, in particular, would put at risk the union with Scotland and over time the union with Northern Ireland. "That is too high a price and I think that is something Parliament has to bear in mind." Mr Gauke said the prime minister's deal was the "best outcome", adding: "Sometimes you do have to accept your second or third choice to avoid an outcome you consider to be even worse." In his East Antrim constituency on Sunday night, Mr Wilson told BBC News NI: "Should [the prime minister] bring it back a thousand times we will vote against it because the implications for Northern Ireland are far, far too serious. "And that's why we laugh in the face of these kind of threats that we get from John Major and David Gauke today." He said Mrs May's withdrawal agreement, if passed, could build a trade barrier between Northern Ireland and Great Britain and "could destroy the union". "Our message to the prime minister is: do what you should have done at the very start and what you promised you would do. "That is only sign an agreement, which treats Northern Ireland the same as the rest of the United Kingdom." On Friday, the DUP's deputy leader Nigel Dodds said he would "rather stay in the EU and remain rather than risk Northern Ireland's position" in the union. On Monday, Parliament will hold an indicative vote on Brexit alternatives. A customs union with the EU is thought to be the most likely preference.